12", 16", 20", & 24"
be ordered with minimum quantity restrictions. 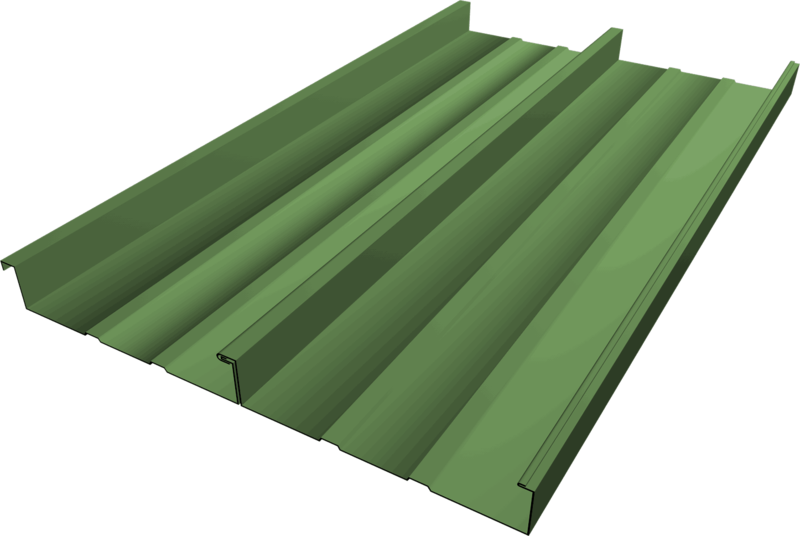 FSS-1.5 roofing panel is stocked in 20" widths with stiffening ribs standard; other widths as special orders, subject to quantity limitations. The flexibility of the metal roof panel width means this panel has almost limitless roof applications for light commercial and residential-grade buildings. It's our most economical standing seam panel at 20" wide.